Like other online marketing tools, Facebook has evolved over the years. In 2009, Facebook introduced brand contests and promotions. In 2012, business pages were given timelines, just like you see on your own personal Facebook profile. These were all positive changes. More recent changes haven’t been so rosy. If you were posting on a Facebook business page in the beginning of 2014, you might have noticed a sharp decline in organic reach – meaning, your posts were being displayed to fewer people. What once was a free platform for promoting your practice online quickly became a “pay-to-play” platform. 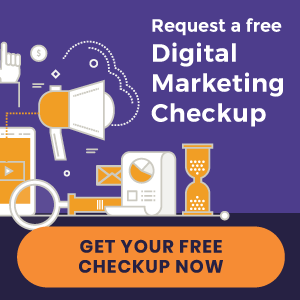 While you’re still able to post status updates for free, the percentage of your followers who see your posts has – for many chiropractors – fallen to the single digits. This is where “boosted posts” can help. “Boosting” a post means you pay to ensure it makes it’s way onto your followers’ timelines. With this “pay-to-play” marketing strategy, you decide how much or how little you spend. It also encourages you to take stock of which posts hold the most value. Fill out your practice information – with 100% accuracy. Choose how you’d like your account to be managed. Scroll to the top of the page and click on “Billing” from the menu. Promoting posts to both your followers and their friends works similar to how a referral system would operate. Many of your follower’s friends will be locally-based, and seeing that a friend “likes” your practice on Facebook is as good as a referral. While Facebook automatically starts you with a $5.00/day budget, you can bring the minimum all the way down to $1.00. Simply click the dropdown arrow, and type in the amount you would like to spend. Are Your Boosted Posts Working? To determine how much money and time you should put into Facebook advertising, it’s critical that you monitor your results. Looking at the number of likes and shares your posts acquire is a great first step. Most importantly, you must see how your posts are impacting your overall practice. 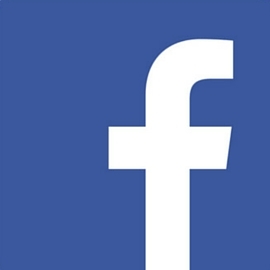 Are you getting more appointments that are directly related to posts advertised on Facebook? If so, you might consider increasing your Facebook budget. If you’re not gaining immediate results, don’t give up. Test out different posts over several weeks before deciding whether to continue. For example, one week promote a blog post to stimulate engagement on your website. The following week, promote a patient referral special and see how many new appointments it draws. Learn more about Facebook advertising here. Also, don’t forget to download our free eBook to see how you can enhance your online presence with ten easy-to-implement strategies. « Introducing New Chiropractic Websites for Allied Chiropractic and more!